Recycled brass buddha scatter pin. 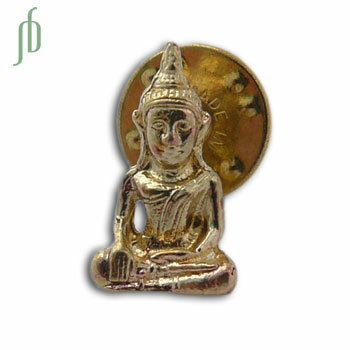 It is a gorgeous buddha statue on a pin that can be worn on as a tie pin or on your yoga mat bag. Sturdy, beautiful, eco and fair trade! Recycled brass ganesh scatter pin. It is a nice ganesha symbol on a pin that can be worn on as a tie pin or on your yoga mat bag. Sturdy, beautiful, eco and fair trade!